It has been a very busy Autumn Term so far! We were delighted to welcome the children back to school in September and pleased to have our new reception children: Clara, Harvey, Belle, Zach and Sam and also Mia who joined us in yr1. In September, Class 2 attended the first Dartmoor Multi Academy Trust Ability Games. 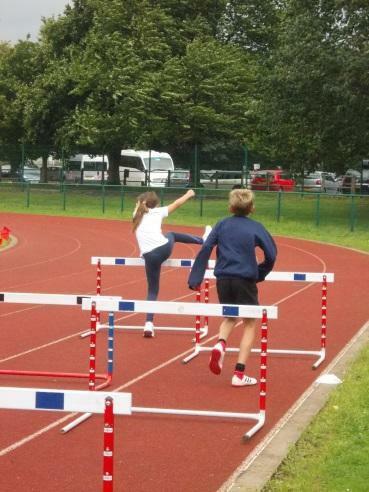 This was a fantastic opportunity for the children to take part in a range of athletic and field events using state of the art facilities at Tavistock College. Class 2 children also took part in a cross country festival at Holsworthy Community College, seven local primary schools and over two hundred pupils attended, taking part on National Fitness Day! The final team results finished with Holsworthy Federation gaining runners-up position for the Year 3 & 4 races. 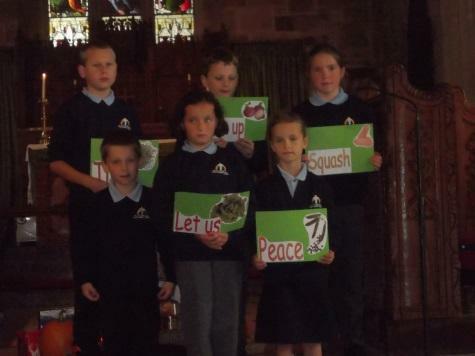 In October we held our annual Harvest Service in the church. We all enjoyed the children’s singing, prayers and artwork. Thank you for the donations for the Foodbank, to the church volunteers for the refreshments and to Morag and Kathy for providing the piano accompaniment and blessing. 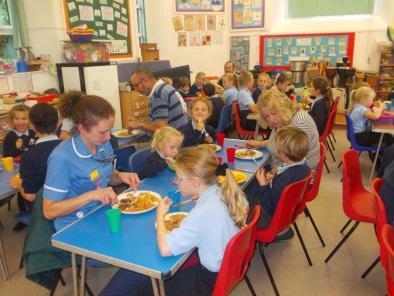 We welcomed parents of Class 1 children into school to join us for lunch, they enjoyed Fish and Chips and pudding as well as joining in play with the children after lunch. The whole school walked down to the Village Hall to support the coffee morning, helping raise funds for the doctor’s Surgery to install a new ramp. Class Two enjoyed a fantastic visit from a historian, and had an interesting, interactive and fun afternoon learning about many aspects of WW1 life including what it was like in the trenches and the role of women and weapons. They also had the opportunity to see different authentic artefacts up close. The netball team played their first league match against Bradworthy; it is a joint team with children from Bradford School. They all played fantastically, exhibiting great skills as well as good sportsmanship. This resulted in a win, 12 goals to 1. 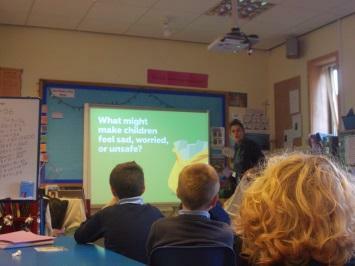 In November the NSPCC came into school to talk to deliver their "Speak Out Stay Safe" programme. Through child-friendly, interactive assemblies and workshops their specially trained staff and volunteers give children information about how to keep themselves safe from harm and how to get help if they have any worries, sensitively discussing issues like bullying and sexual abuse, without using scary words or adult language.